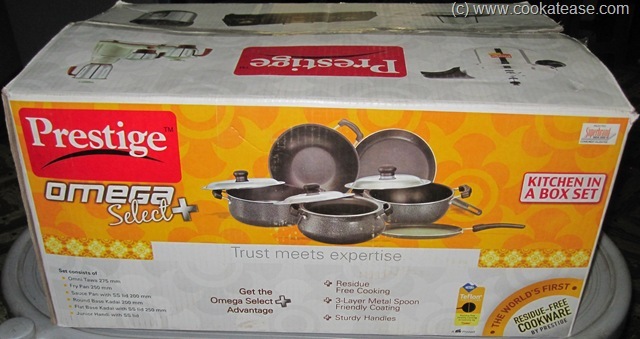 To encourage Cook @ Ease, this month during my 32nd wedding anniversary, my children gifted me with ‘Prestige Omega Select Plus Kitchen in a Box’ non-stick cookware. Flat Base Kadai and Handi Junior. Your recipes are good, nice collection..planning to try the kambhu adai! 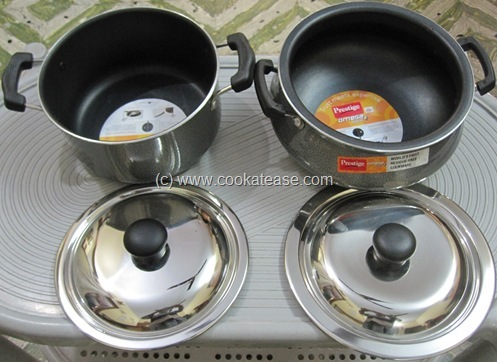 Nice, this completes the kitchen in one go, consisting all types of cookware. is prestige omega select plus induction friendly?